The Xavier University School of Medicine at Aruba (XUSOM) is a prime choice for foreign/NRI students to pursue their medical education overseas in the Caribbean. 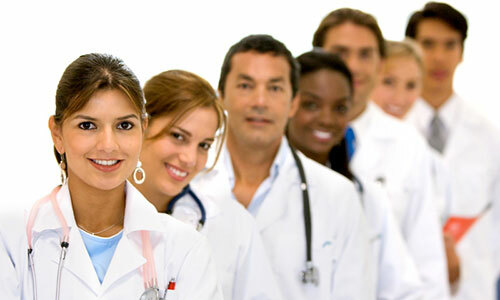 XUSOM offer a 4 year Doctor of Medicine (MD) program and 5½ year pre-medical plus MD program. The curriculum is based on US medical education standards to ensure a successful academic career and to correlate with licensure guidelines. Best of all, there are no MCAT required for admission. A key benefit of attending XUSOM is that students are guaranteed clinical rotations in the United States. After students complete 16 months of basic sciences in Aruba, they move onto clinical courses and review back in the United States. XUSOM's campus is conveniently located on one of the most accessible Caribbean Islands. Aruba is part of the "ABC" islands in the Dutch Caribbean. Located in Aruba’s capital city of Oranjestad, the XUSOM campus provides a safe and secure atmosphere for students to concentrate on their studies and can be easily reached by direct flights from all over the world. Interested candidates can contact the official representative of Xavier University School of Medicine in Kuwait, MEI for University Services, for admissions or enquiries on 25618333/25661606. Appreciate providing me with the address and brocher (Fees, other information, etc.) for the University including details of Ladies Hostel to complete Ph. D. in Pharmacy. i would like to know more about this University. * is it approve all india medical association. pleaselet me know: when did it start? do u also have any thing related to to pharmacy field also in ur univ..
Kindly send me the Web address. What is the entry education level required? What is the age limit? Good chance for all of us by giving us this web.plz i need more information about this university becz ineed to applaly. As amedicine student from kenya . * What is the entry education level required? My ward is doing her last stages of her MBBS and she wish to go MD programmes. She is from the St.Kitts Univesity. Please advise how to proceed. what is the procedure to get into M.D after m.b.b.s, whats the fee structure? What is the entry education level required? and total fees stucture for the course. Could you kindly let me know more about the University. Also I would like to know the fee structure including hostel.